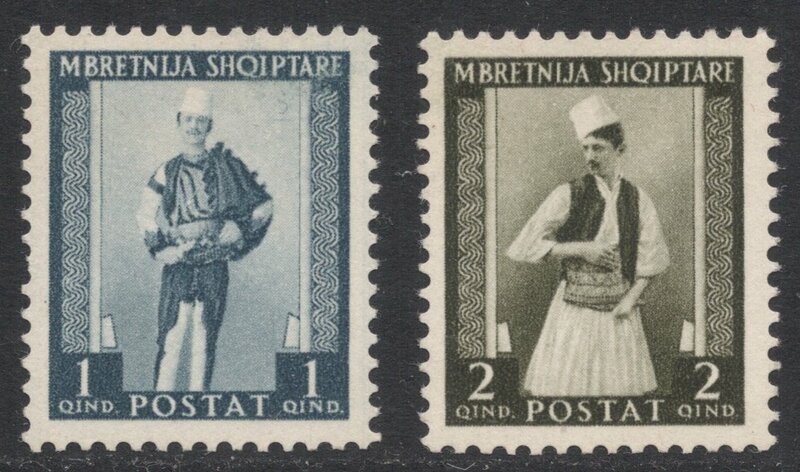 Albania’s role in my Peacemaking collection was dealt with in the July issue of Stamp Magazine. It told the story of Albania’s first years of independence, how it was occupied by so many different countries during World War I, with Italy and Greece being the main two, and how, after the war, the Peace Congress had to find a solution for the country. An Italian mandate? Carving up the country and dividing it between Greece, Italy and Serbia? 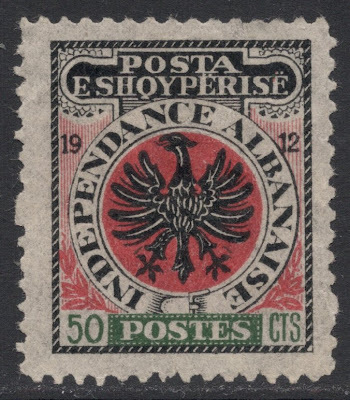 Eventually Albania survived as an independent nation, with its borders almost exactly as determined in 1913 when the country first became officially recognised as a nation. 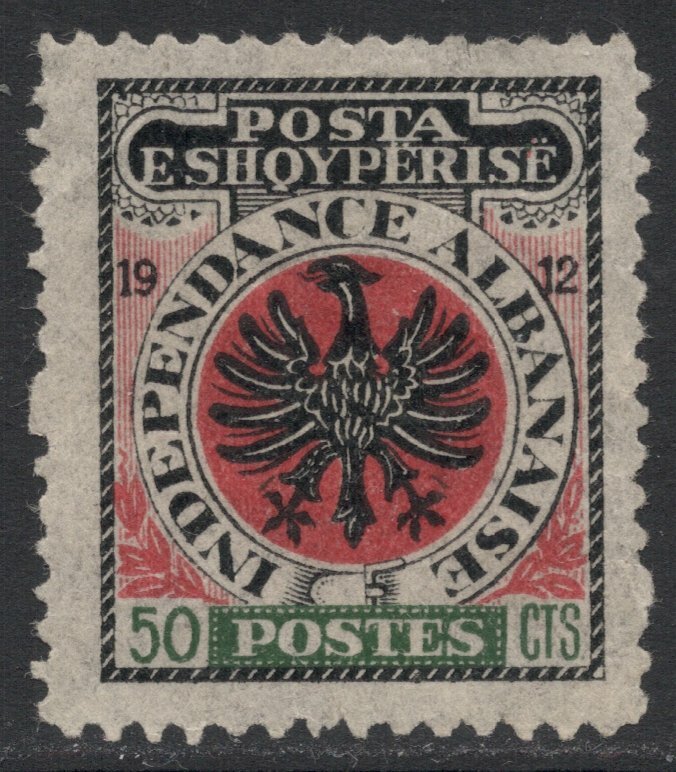 As it happens, 1913 was also the year in which Albania started issuing stamps, but their first attempt was when Albanian independence was proclaimed, in November 1912. 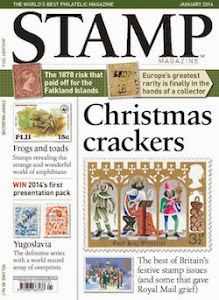 Those stamps however, could not be issued because the heraldic symbols were wrong. 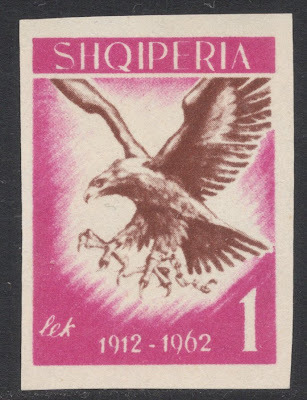 The design included an eagle, which is fine, but Albania’s eagle is a two-headed beast, and the stamps showed just the one head. I love the story how Albania got its eagle. You can read the full story here, but basically it goes like this: youth saves eagle chick from being bitten by snake. Parent eagle promises the youth strength matching his own. Youth goes on to slay many villains, with the now fully grown eagle chick being his guardian angel. 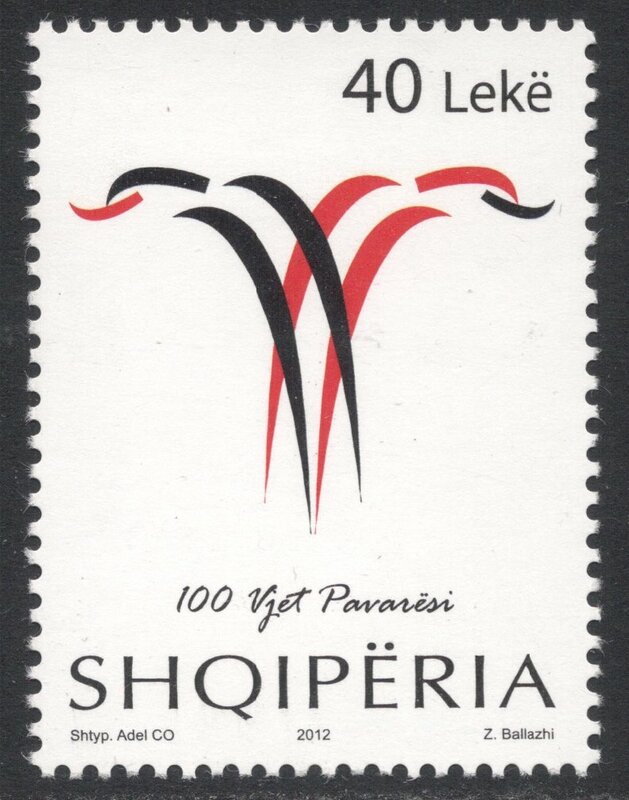 Youth becomes known as 'Son of the Eagle' and his kingdom will be called 'Land of the Eagles', or Shqipëria. 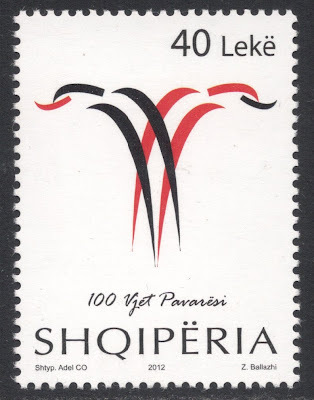 No wonder the eagle is Albania’s national symbol, with the two heads representing the south and the north of the country. The centenary of the country’s independence was marked last year with commemorative issues marking the revolution and the proclamation of independence. 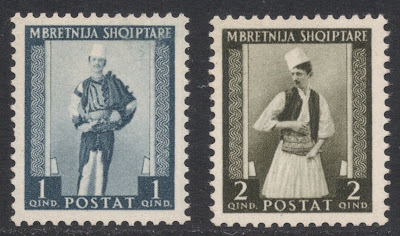 The majority of stamps features the usual flag waving and groups of revolutionaries, but there is one stamp which is rather remarkably different and more original. It is a stylised version of the eagle and it is so powerful in its simplicity that I would like to proclaim it the most beautiful stamp of 2012! I liked very much this post, and this last image is truely beautiful!!! Thanks very much for your kind comments, Marcelo. Much appreciated!